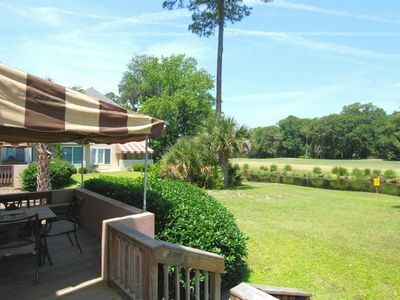 Lying just a short walk from the beach, this 2-bed, 2-bath condo provides access to everything Hilton Head Island! 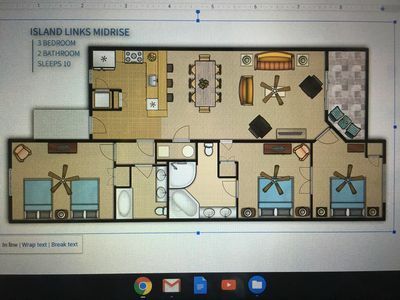 This unit for 4 has been updated to suffice all of the traveler's needs with amenities like free WiFi, a private balcony, and comfortable furnishings. 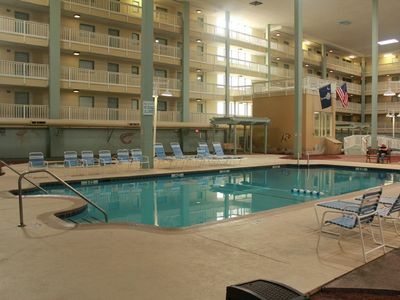 To top it off, resort amenities like 2 pools, tennis courts, and a clubhouse are all available to guests. 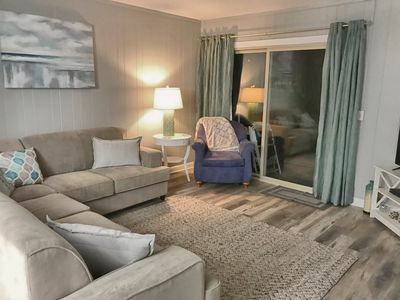 Whether you come for the sandy shoreline, delicious seafood, or top-notch golfing, this is the vacation rental unit for you! 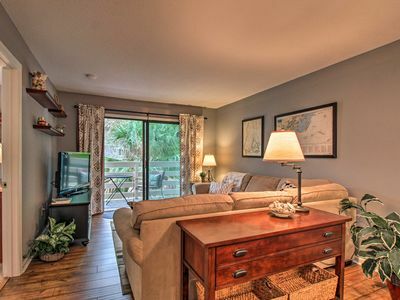 Light and airy, this cozy condo calls for you to relax and unwind in style! 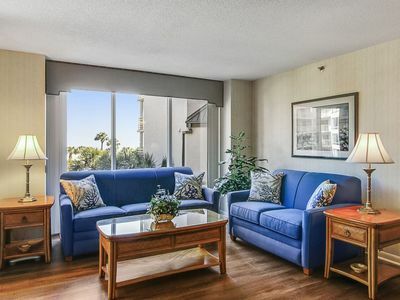 Amenities like free wireless internet and in-unit laundry machines provide everyday comforts of home, while the private balcony and numerous resort amenities make you feel like you're truly on vacation. 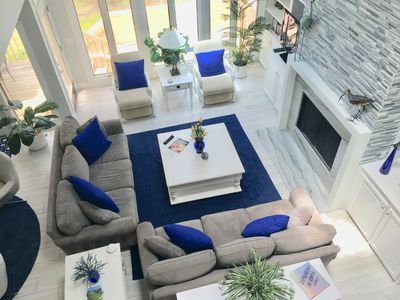 When you're not sunbathing by the pool or playing tennis, find yourself lounging on the living room's plush L-sectional! Watch your favorite shows on the flat-screen cable TV, dive into a new novel, or doze off for an afternoon catnap. 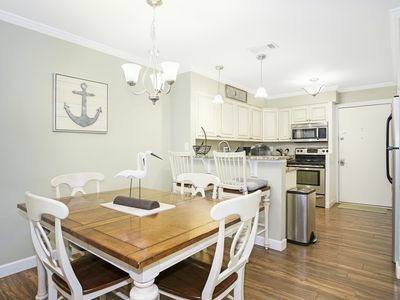 Just a few steps away, the fully equipped kitchen has been perfectly updated to meet all of your home-cooking needs. 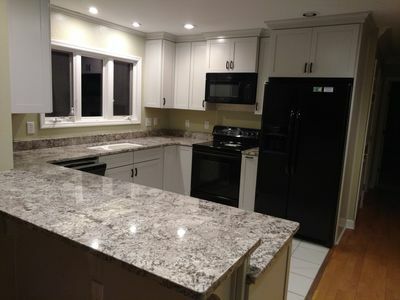 Granite countertops, stainless steel appliances, and ample cookware are sure to satisfy even the pickiest of chefs. For a true feast, fire up one of the community charcoal grills! Dine indoors around the table for 4. End the day with a refreshing shower in one of the 2 full bathrooms, both stocked with fresh towels. 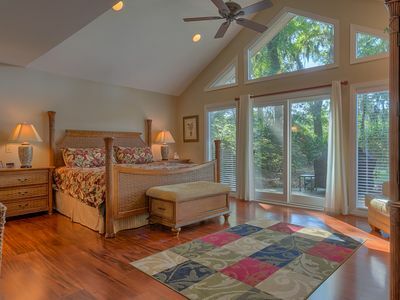 Just like a hotel, you'll find soft, clean linens on the master bedroom's queen bed and the second bedroom's twin beds - with all of the beds offering a deep night's sleep, preparing you for another day of island bliss. 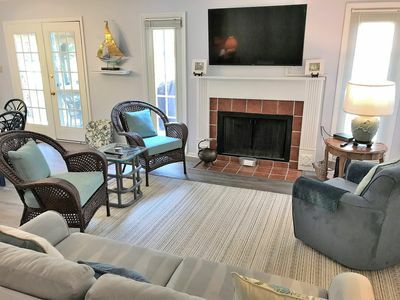 Located on the 'heel' of Hilton Head Island, this vacation rental condo features a prime location just a short walk from the beach and close to numerous attractions! 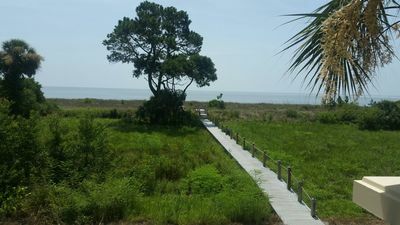 The historic Fish Haul Park and Mitchellville Park are located just minutes away, along with many golf courses like Point Royal Barony Golf Course and Robert Trent Jones Golf Course. The island features over 24 world-class courses - making it a true golfer's paradise. 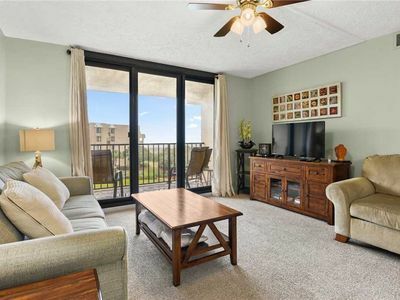 The expansive shoreline also lies steps from the condo, catering to beach lovers of all ages. As a nature preserve and bird sanctuary, the area also boasts plenty of wildlife sightings - so make sure to bring along your binoculars and camera! Water sports are popular most of the year, including kayaking, parasailing, fishing charters, and family boat excursions. Explore the area via bike with over 90 miles of connected pathways traversing the 12-mile long island! Bike rental companies abound, plus bike delivery is available at no charge. 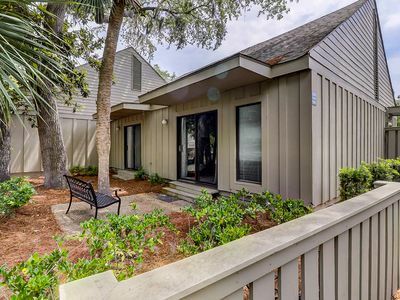 You'll find plenty of restaurants close by, such as Fishcamp on Broad Creek and The Smokehouse, along with great shopping centers including Shelter Cove Town Centre and Coligny Plaza Shopping Center. 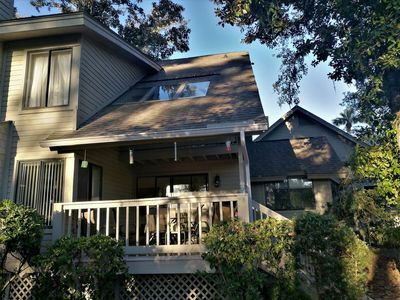 Newly updated 2 bedroom/2 bath wifi - Short walk to beach! Classy Villa!! Poolside! 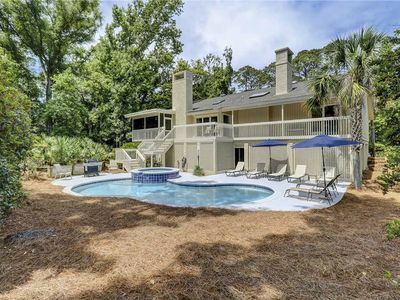 Short Walk to Beach,Outdoor Pools ! 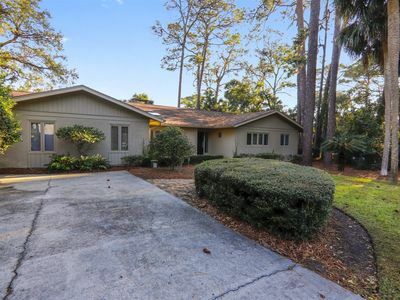 PET FRIENDLY Five Bedroom Near Ocean UPDATED Palmetto Dunes Home! 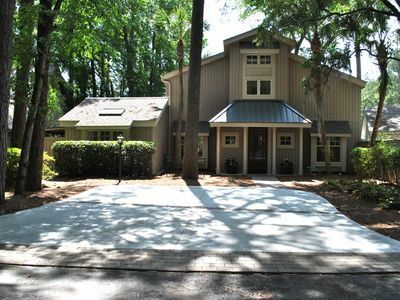 7 Bedrooms, 3rd row home on the beach path, just a few steps to the Ocean in Palmetto Dunes! 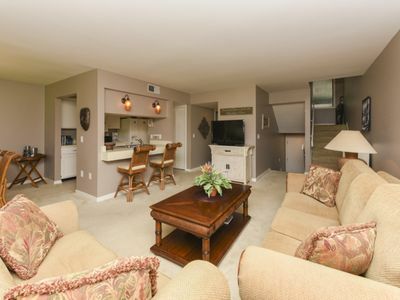 2nd floor, 2 bedroom, and 2-bath villa in the Villamare complex at Palmetto Dunes Resort. 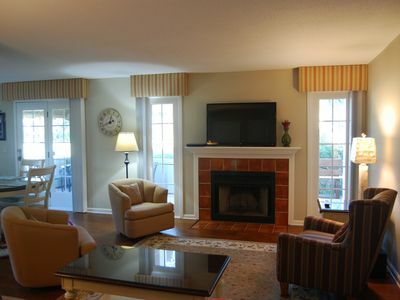 Remodeled Palmetto Dunes villa w/ patio & shared pool, tennis & golf!